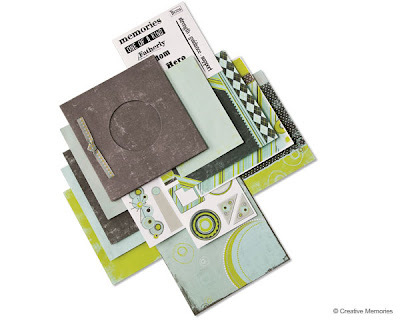 This is a paper album kit. It has become my favorite gift to give family members, because they are so easy to put together quickly and I don't have a lot of decisions to make because everything is already coordinated and included in the kit. The kit comes with all the wallpapering paper you need, photo mounting paper, epoxy stickers (love these), die cuts, and clear title stickers. It even comes with a mailing envelope! 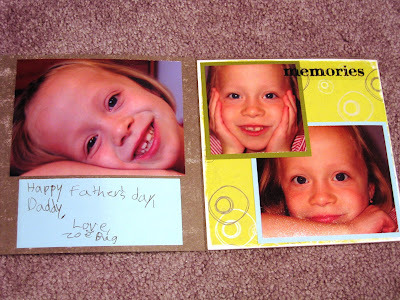 All you need is adhesive, a photo safe pen, and your pictures. You don't even have to crop your pictures to put one of these babies together. 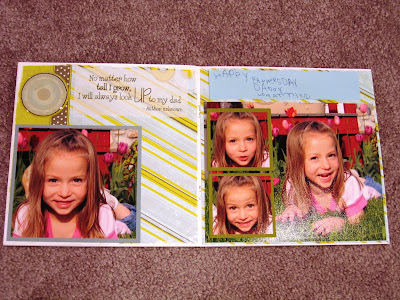 These are pictures of the paper album the girls and I put together for Peanut Head for Father's Day. 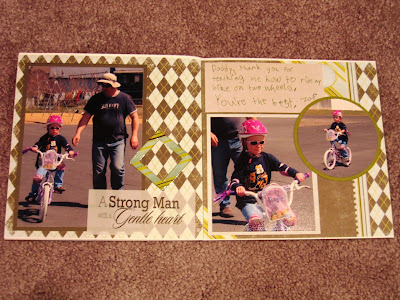 It's the For Him paper album kit and it's manly. 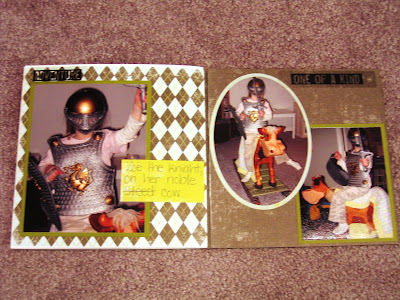 Annika wrote a little note to go with her pictures. 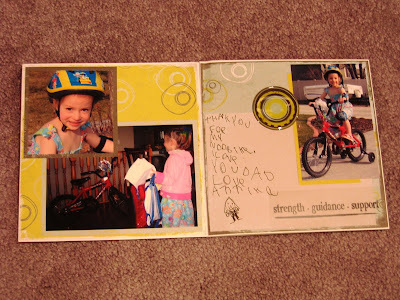 It says: Thank you for my noo bike. I love you Dad. Love Annika. A note from Zoe. 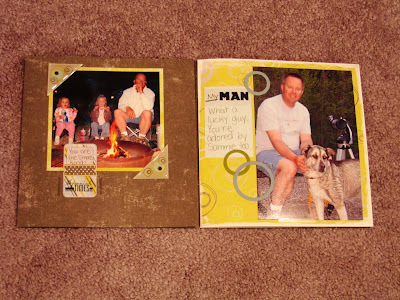 The only thing I added to this particular album was the Expressions of Him vellum quotes. These are the contents of the For Him Paper Album Kit. This particular kit is currently available while supplies last. 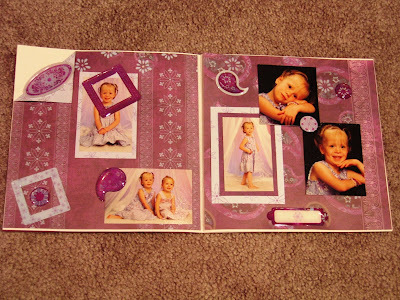 Here is one page from the Purple Paisley Paper Album Kit. And here are the contents for that kit. 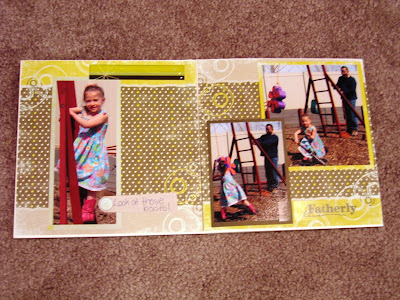 The Preppy Patterns Paper Album Kit. 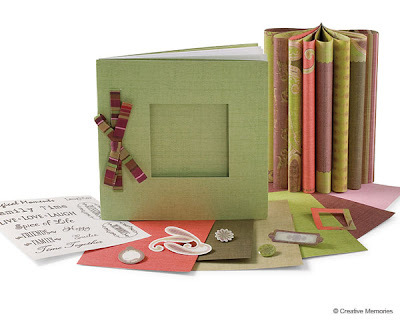 The Garden Party Paper Album Kit. 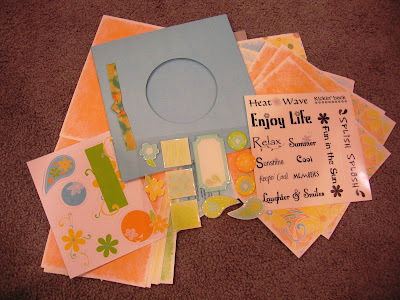 The Summer Fun Paper Album Kit. This one is available while supplies last. 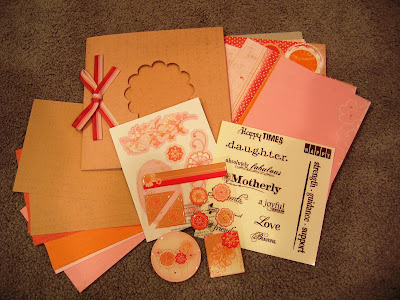 The For Her Paper Album Kit, also available while supplies last. 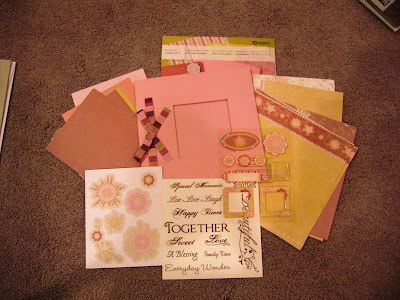 The Bohemian Paper Album Kit. This is a picture of the Creative Memories website, so it doesn't show all the epoxy stickers and die cuts. You get one sheet of each. 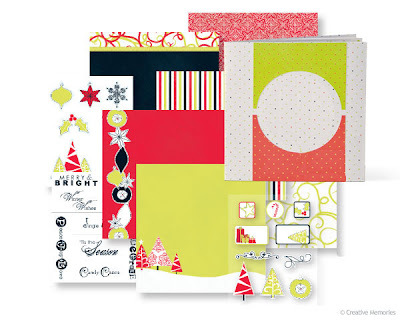 The Merry and Bright Paper Album Kit. You can't beat the price on these kits, they are $16. Not bad for a very nice gift. It's also the perfect gift for the person who has everything. 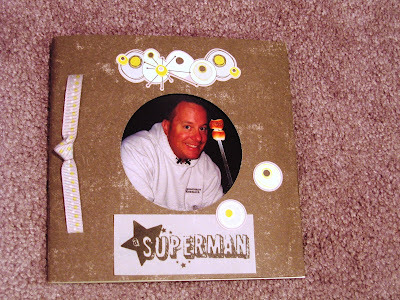 Last year I made one of these little albums for each of the Grandmas after Christmas. I put pictures of the girls from the holiday season in the albums, and we wrote a note saying that even though we are far away, we wanted to share our holiday season with them. What a great deal! 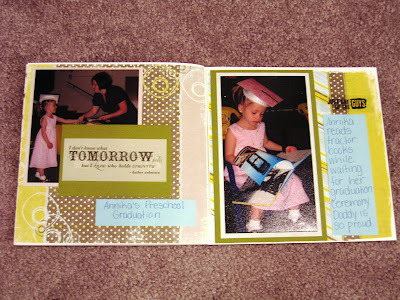 I love the idea of giving a personalized album for a gift! That is a really good gift idea!! Love it! 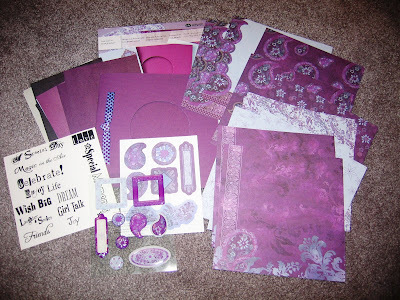 That's the beauty of the paper album kits, all the coordinating is done for you. It even has a booklet that shows you on which pages to adhere the wallpaper if you don't want to think about it. I think it's impossible to mess these things up. Thanks for sharing that album. 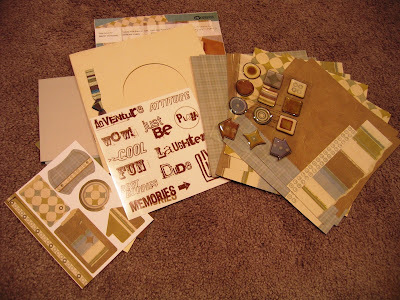 I think these coordinated kits they have these days in the scrapbooking world are some of the greatest scrapbooking inventions ever! You just can't go wrong. I really want that Christmas one. It is so whimsical and fun! Be sure to stop by my blog when you get a minute. I have an award waiting there for you!